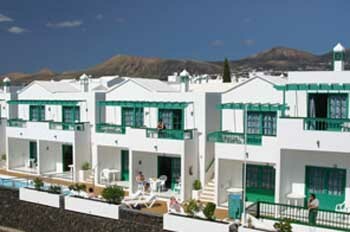 Address: Geiser, 11, Puerto del Carmen (Lanzarote), Islas Canarias. Enjoy the year-round sunshine by the pool with a stay at these charming and peaceful apartments, located in Lanzarote’s Puerto del Carmen resort. Look down on the resort from the Europa’s beautiful hillside setting, part of the port’s old town. From here it is just a 1.5 km walk down to the nearest beach, where you can spend your day bathing on the golden sands and in the clear Atlantic waters. The apartments are set beside their own outdoor swimming pool, which includes a section for children. Around here you will find many sun loungers, allowing you to soak up the sun in comfort. Please inform Apartamentos Europa in advance of your expected arrival time. You can use the Special Requests box when booking, or contact the property directly with the contact details provided in your confirmation. This property will not accommodate hen, stag or similar parties. The hotel does not accept American Express as a method of payment. Guests should indicate their anticipated time of arrival and the total number of guests staying in the apartment. This can be noted in the Comments box during booking, or by contacting the property using the contact details found on the booking confirmation.